Jackie Blanchette, age 86, of El Dorado Springs, Missouri, passed away at Nevada Regional Medical Center on Thursday evening, February 9, 2012. She was born May 27, 1925, in Los Angeles, California. She was the daughter of Harold and Joyce (Dominey) Montee. The family moved several times due to her father’s work as a commercial pilot for TWA. She attended schools in New York, Chicago, Kansas City, Tennessee and Los Angeles, California. Jackie married Theodore Wesley Andrew in 1948 in Los Angeles, California. To this union three children were born. Theodore died suddenly in an auto accident in 1958. Her children admired her strength. She remained kind, generous, and taught the children to think of others first. In 1960 Jackie married Jon Evanoff and helped to raise four stepchildren. She was widowed in 1968. In 1969 she married James Blanchette and was widowed again in 1982. Jackie then sought work as a nanny raising two children from infancy through high school. She loved to paint, write, read and travel to many parts of the world. Preceding her in death were her parents, one sister and three husbands. 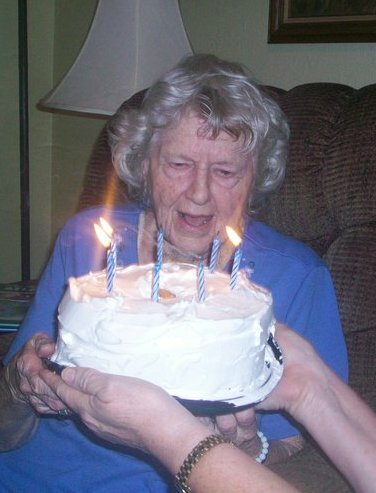 Jackie is survived by her three children: Kathleen Whitlock and husband Jerry of El Dorado Springs, Missouri, Laurie LeLeaux of El Dorado Springs, Missouri, and Michael Andrew and wife Nancy of Buena Park, California; eight grandchildren; thirteen great-grandchildren; and one great-great-granddaughter. Funeral services for Jackie Blanchette were held on Monday, February 13, 2012, at 2:00 p.m. at Bland-Hackleman Funeral Home with Rev. Ron Marsh officiating. Graveside services will be held on Friday, February 17, 2012, at 2:00 p.m. at Melrose Abbey Memorial Park in Anaheim, California. Arrangements are under the direction of Bland-Hackleman Funeral Home.